Blackberry 8800 available on T-Mobile | BlackBerry Blast! Until now the Blackberry 8800 has only been available through Cingular Wireless. Now users can look to T-Mobile for the Blackberry 8800. They'll get you an 8800 for $249 if you buy a service plan. Everyone has been raving about the 8800 even though it does not have a camera. 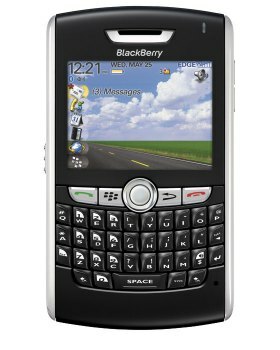 Seen as the big brother to the Blackberry Pearl the 8800 includes the new trackball and fits nicely in your hand and pocket.